These retail for $110 each, but I got them at a yard sale for $40 each. Of course, then I realized they were the wrong height for my kitchen counter. Anyway, I'm asking $40 each/$80 for the pair or best offer. They have a couple scratches but are otherwise in excellent condition. This enclosed canvas wardrobe is great for storing winter clothes in the summer, or summer clothes in the winter, or avoiding dust in a storage area or closet. I have it disassembled. It's pretty sturdy once put together. It measures 63 inches high x 36 inches wide x 20 inches deep. This is the product description at the Container Store. Yours for $20. I have 3 kitchen-trash-bag size bags of clean bubble wrap, free for the asking. Union Square, let me know if you want them and I'll let you know where to pick them up, thanks! I can't believe I'm moving on Thursday! So if you're interested in any of these items, please let me know (via Craigslist email, not on livejournal) asap! Pickup is at the corner of Day & Orchard. This is a great, sturdy stepstool/stepladder. When you need to reach stuff, this is so helpful to have around, and it folds up nicely. 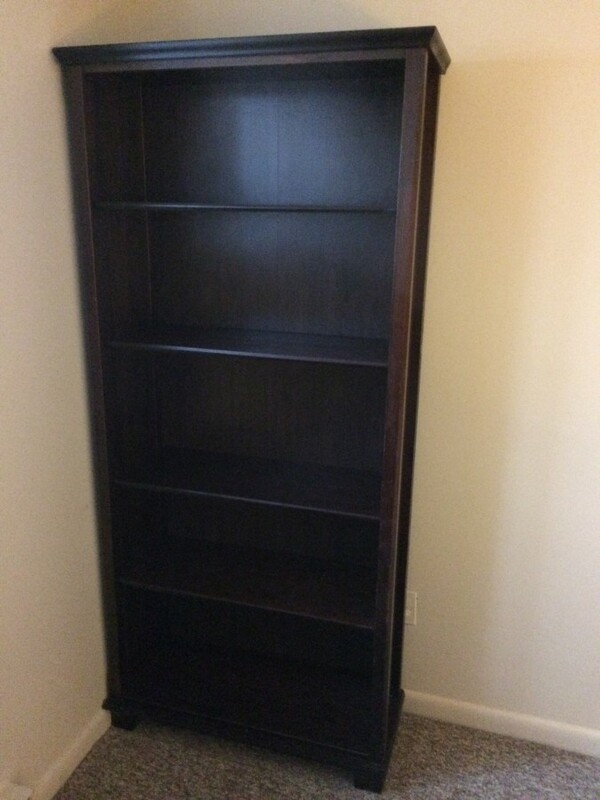 I'm looking for a good home* for this full-length bookcase. I think it's IKEA, but I can't seem to find it on their site. Anyways, it was given to me for free and I'm selling it for the same price. If you can haul it, it's yours! 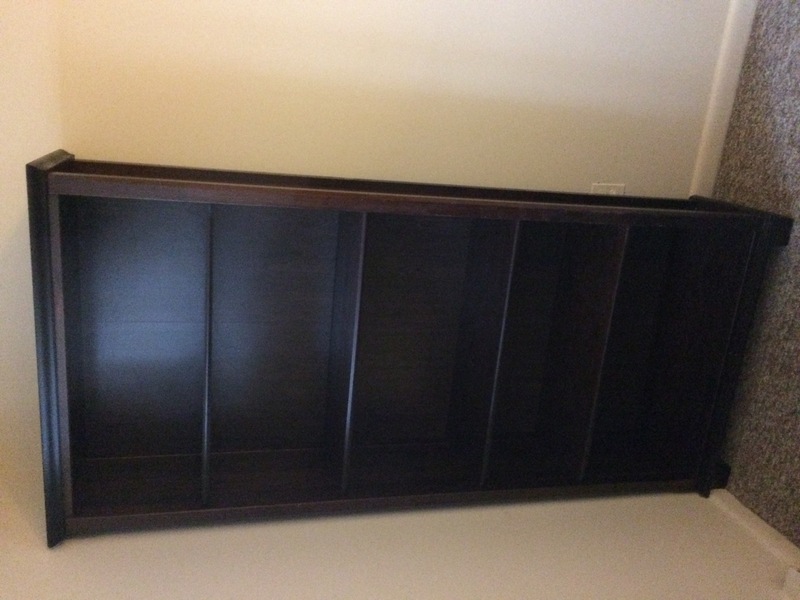 Bookcase is 6'3.5" x 2'9.5" x ~1'0.5". My apartment building is up the hill from the Somerville Ave car wash, near Summer St. Be prepared to haul it up a half-flight of stairs and then down a quarter-flight. *For a bookcase, my only criterion for a "good home" is one in which it won't be chopped up for firewood and used in a ritual to summon a demon to destroy the universe, bring untold pain and suffering, something along those lines. I've got a sleeper sofa for sale, located between Davis/Union Squares. It is a queen sized sleeper. I bought it from Bob's Furniture a few years ago, the maker is Rockport. The color is called "celery" but it really looks brown/tan. Material is microfiber and it has the "goofproof" treatment. The material is in great condition, as is the mattress. The seat cushions are a little soft after a few years of sitting, but are in good shape. Couch is 77" long, 35" deep. Would need it to be picked up 12/9 or 12/10. $125 cash on pick up. 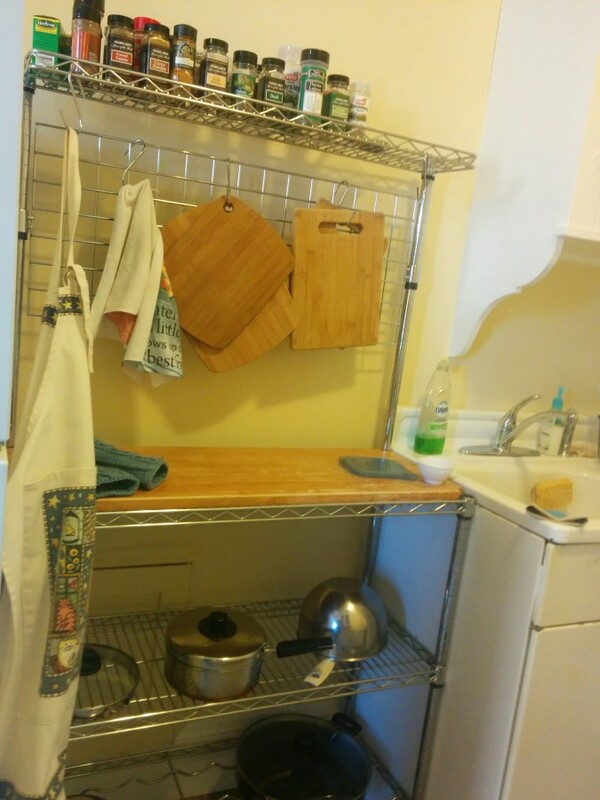 I'm selling this super strong, heavy duty baker's rack. Sadly, I won't have room for it in my new apartment. It's in fantastic condition and it's on wheels. It can hold almost anything - is it just what you've been needing? I'm in Davis, at the corner of Day St. & Orchard St.
2 air conditioners in great condition for sale! If you wait until June, you'll be hot and air conditioners will be expensive and hard to find. So why not buy one now, while they're easier to find? I'm moving soon and I won't need my air conditioners in my new apartment. Would you like one or both of them? Pick up is right in Davis Square (corner of Day & Orchard) so it's super easy. Stop by the Davis Sq T station on Friday, Feb 12th from 3:30-7:30 to buy Girl Scout cookies! The T Station booths are arranged by the Girl Scout council. Very often, the troops selling in Davis Sq are not from the area, but on Friday, Feb 12th, you can buy cookies from genuine Somerville Scouts! $5/box. Thin Mints are better than roses on Valentine's Day! In an effort to clean out things I'm not using, I have a lot to get rid of! And it's all in good condition! There are photos in the CL links below. Some is free, and some I'm selling, but feel free to negotiate :) And I'll be glad to lower the price if you can pick something up by the end of the weekend! These 3 links have all of the details and photos. They list prices, but I'll gladly give things away for free if I know they'll be used. Great wood-style bookcase for sale! This is right in the square! I'm suffering from some buyer's remorse... I grabbed a ticket for the Salman Rushdie talk hosted by the Harvard Bookstore (Mon, Sept 21, 7 pm at First Parish), but my would-be plus-one fell through, so I'm looking to get rid of my ticket. I paid $31.32, which includes a ticket to the talk, a copy of his newest book, and the opportunity to get it signed. Looking to sell it! I'm cleaning out, and I'd love to see these go to a good home. If you or someone you know is interested in them, just let me know! I'm in Davis on Day St. I'm selling my grandmother's vintage KitchenAid mixer. It still works and comes with the attachments shown in my craigslist posting. Are you interested? I'm right on Day Street. nomacmac.livejournal.com - Girl Scout Cookies! jmorgy.livejournal.com - 2 air conditioners in great condition for sale! living life happier - Great wood-style bookcase for sale!